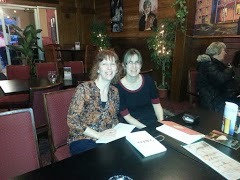 Last night, I attended the launch reading for Sulphur, Laurentian University’s Literary Journal, issue III. I’d been invited by 100 thousand poets for change alums Natalie and Kevin. Natalie had a couple of poems accepted to the journal. 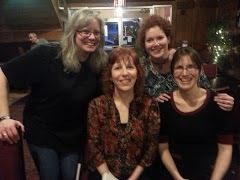 Also in attendance were Kim Fahner (in support of a published colleague) and Louise and Paulette, two of my former collaborators on the Battle Chant project. Paulette also had a poem in the issue. poets and a selection from a play, another publishing first for Sulphur. 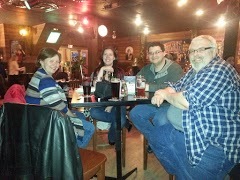 It was a lovely evening and I enjoyed reconnecting with my fellow writers. Though Tom Leduc was there as a representative of the Sudbury Writers’ Guild, several others who had been published in Sulphur III were absent, which was regrettable. There was a little discussion about the relative merits of the arts community in Sudbury, and frankly, I think it’s doing just fine. It could be better promoted, certainly, but I don’t think there’s anything wrong with it, per se. It’s long been held that Sudbury, essentially a blue collar town, doesn’t appreciate its artists. Can I call shenanigans on that one? There are artistic enclaves all over town: several centered on out institutions of higher learning, the Theatre Centre, several other community theatres, our small presses, the Art Gallery of Sudbury, the Sudbury Arts Council, the Sudbury Public Library, institutions like the Townehouse Tavern, and organizations like the Sudbury Writers’ Guild and the Sudbury Hypergraphic Society. Several area high schools also produce excellent writers, musicians, and artists every year. The concern is that many of these organizations, institutions, businesses, and services become insular over time. When I sat down with Hally Willmott last weekend, she hadn’t been aware of the SWG or that there were any writers groups in town. It’s not that we don’t talk to one another, attend each others’ various events, or try to cross-promote. It’s certainly not that none of us have established web presences or hold community events like readings, workshops, concerts, art shows, or plays. I know that each party does its best to advertise its presence and services and to promote any special events through various media, both traditional and online. What the heck is it then? Why doesn’t Sudbury claim its artists and arts community proudly? I have no idea. For the average Sudburian, it comes down to participation. You get what you give. You have the arts community you help to create. You must, of course, take this with a grain (or handful) of salt as it comes from someone who hardly makes it out to SWG meetings and is very far behind in her critiquing duties for her guildies. I say none of this to disparage current efforts, which I know are significant, or any of the organizations or businesses, which I know are doing the best they can. Ultimately, I have no solution, but I wanted to highlight what some consider a problem in the hope of provoking thoughtful consideration of the matter. Got thoughts? By all means, share ‘em! Sounds like an awesome town! And perhaps not too far off from owning its artists? It says a lot that you have an active artist community. I like to think my little city has a vibrant arts community, despite its small size. One thing that had a big hand in making the scene grow was a grassroots movement started by some local business (record stores and restaurants int he beginning) that sold tees and bumper stickers with the slogan “Keep Louisville Weird.” People now sport them all around town as a reminder to people to support their local artists and business owners. Thank you, Erin, and the Sudz thanks you too! A lot of local businesses do support the arts, but they’ve never done so together, as a grassroots movement. It’s something to think about. I like the slogan, “Keep Louisville Weird!” Made me smile.